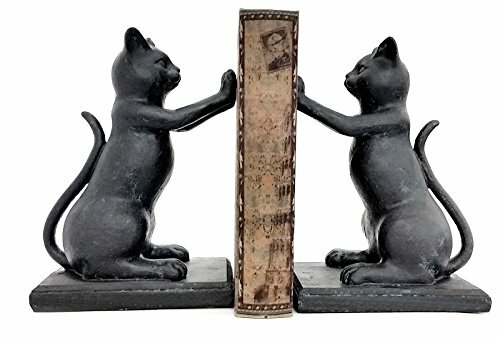 High quality decorative bookends featuring playful kitty cats. Comes package with a complete set of two bookend units. Can also hold CDs/DVDs/Blu-Rays. Measures 8" inches tall. Hand-crafted by tribal artisans, colors may vary slightly. CA based seller - fast shipping directly from USA warehouse. Great novelty gift for the cat lover in your life!